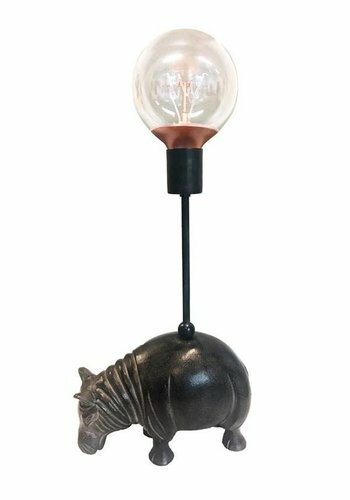 A playful hippo table lamp by VANILLAFLY with rich details making a wonderful addition to the dining, coffee or side table. Globe bulbs not included. They come with European plugs.